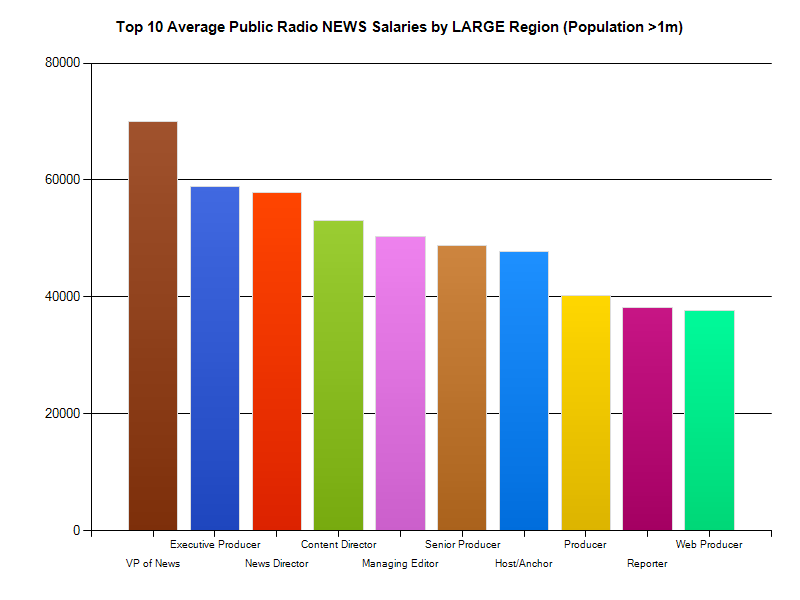 Here are three charts showing the top 10 annual average salaries in public radio news jobs according to the “market size” of the respondents. 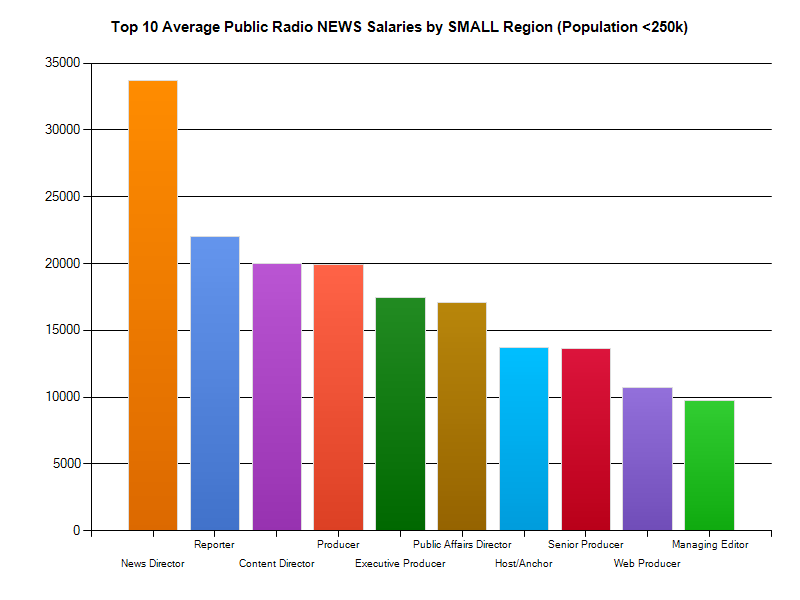 These market size groupings are based on the population within the broadcast service area of the responding public radio stations. 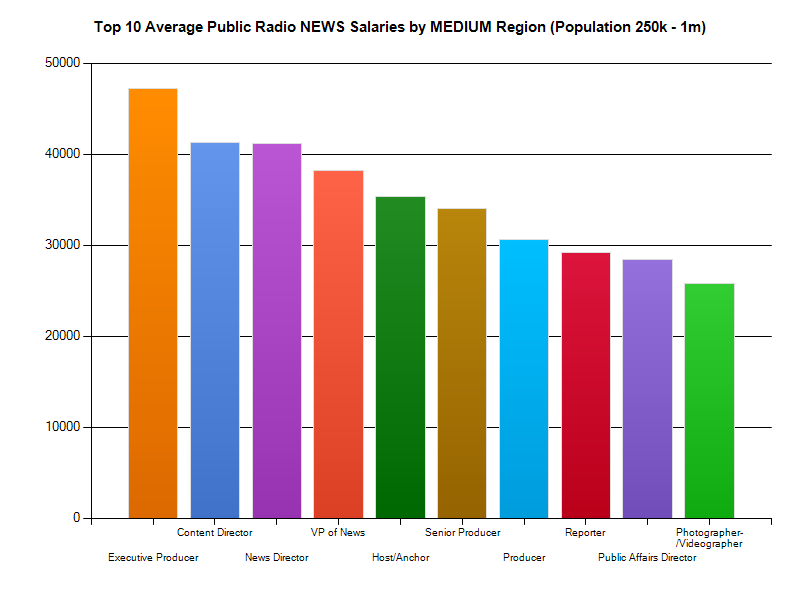 There are more than 100 respondents per each market size sample, but the number of respondents per job title can be quite low depending on the rarity of the title.